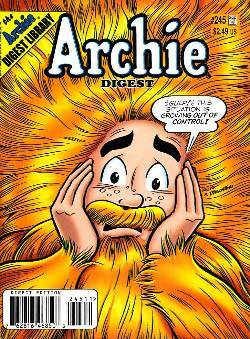 Things get "hairy" for Archie and Jughead when Reggie convinces them they'll go bald just like their fathers! Can Dilton's hair growth formula or the Internet's "cure" help our heroes tackle their "mane" concern? Then, when Archie agrees to umpire a girls' softball game, his eye is on more than the bats and ball! Plus, other new and classic tales, puzzles, pin-ups, and games!